Manga UK Releasing Dragon Ball Super: Broly In January! 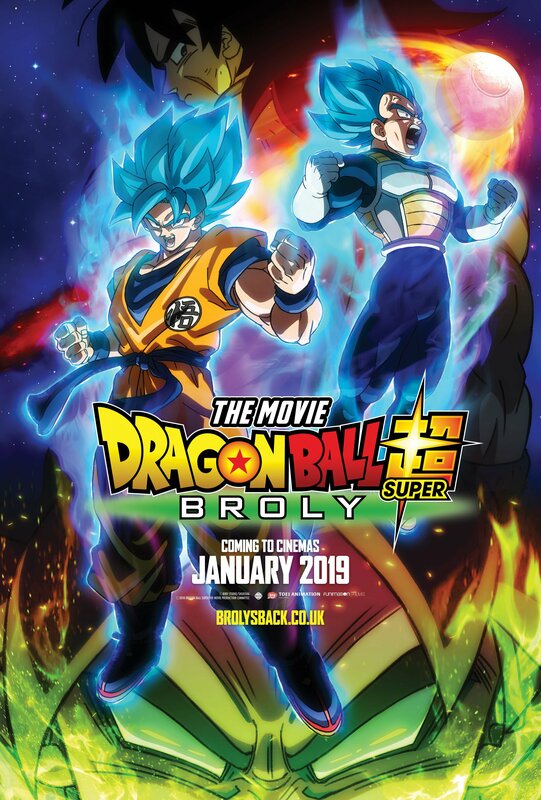 After months of fervent fan anticipation, Manga Entertainment UK have finally revealed that Dragon Ball Super the Movie: Broly will be arriving in cinemas across the UK and Ireland in January 2019! Set after the events of the hugely popular Dragon Ball Super TV anime, this all new film sees a fan favourite return to finally make his mark on the series’ official canon! Last seen in 1994’s Dragon Ball Z: Bio-Broly, the villainous saiyan returns with a brand new story that will pit him against the universe’s strongest fighters like Goku, Vegeta and Frieza! Tatsuya Nagamine (One Piece Film Z) is directing the film at Toei Animation, with a story and screenplay by Dragon Ball creator Akira Toriyama. The film is currently scheduled to be released in Japan on 14th December 2018. While Manga Entertainment have supplied us with an English language dub trailer, they have yet to clarify whether there will also be screenings with the original Japanese audio track. While screening locations have yet to be revealed, you can sign up for notifications at the film’s official website, brolysback.co.uk. Dragon Ball Super: Broly’s Standard Edition Blu-ray has went super saiyan, with a retailer-wide upgrade to a Collector’s Editon! Plus, a retailer exclusive. The UK’s second highest grossing anime film, Dragon Ball Super: Broly, is headed to blu-ray with a collector’s edition steelbook release, distributor Manga UK has confirmed. A listing on the websites for cinema chains Cineworld and Vue have revealed an apparent release date for Manga UK’s upcoming “Dragon Ball Super: Broly” anime film!